The Indian Railways has for the first time completely digitised the complaint management system. 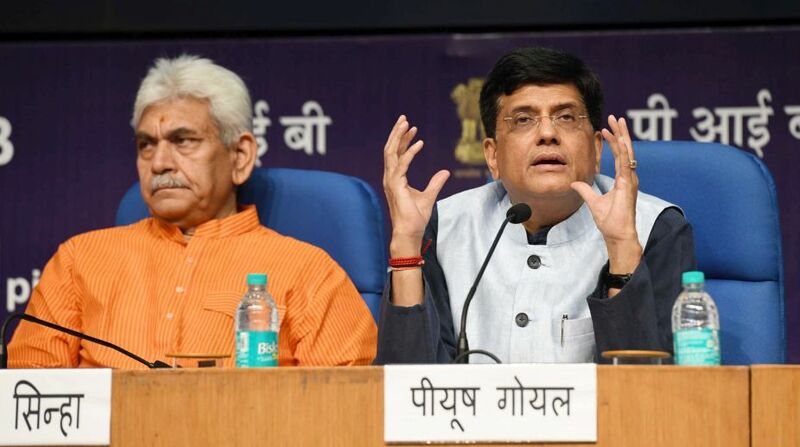 Union Minister Piyush Goyal on Monday launched an application ‘Rail Madad’ to expedite and streamline passenger grievance redressal. ‘Rail Madad’ is an mobile application, which will allow passengers to register complaints through mobile phone and web. The app relays real time feedback to passengers on the status of redressal of their complaints — the passenger gets an instant ID through SMS on registration of complaint followed by a customised SMS communicating the action taken thereon by the Railways. — Rail MADAD (Mobile Application for Desired Assistance During travel) registers a complaint with minimum inputs from passenger (option of photo also available), issues unique ID instantly and relays the complaint online to relevant field officials for immediate action. The action taken on complaint is also relayed to passenger through SMS, thus fast-tracking the entire process of redressal of complaints through digitisation. — Rail MADAD also displays various helpline numbers (Security, Child helpline etc) and provides direct calling facility for immediate assistance in one easy step. — All modes of filing complaints including offline and online modes are being integrated on a single platform. The resultant management reports present a holistic picture of weak/deficient areas and enable focused corrective action by officials concerned. — The data analysis would also generate trends on various performance parameters of a selected train/station like cleanliness, amenities etc thus making managerial decision more precise and effective. — Hierarchy-based dashboard/reports will be available for management at Division /Zonal/Railway board level and sent through weekly auto emails to every officer concerned.